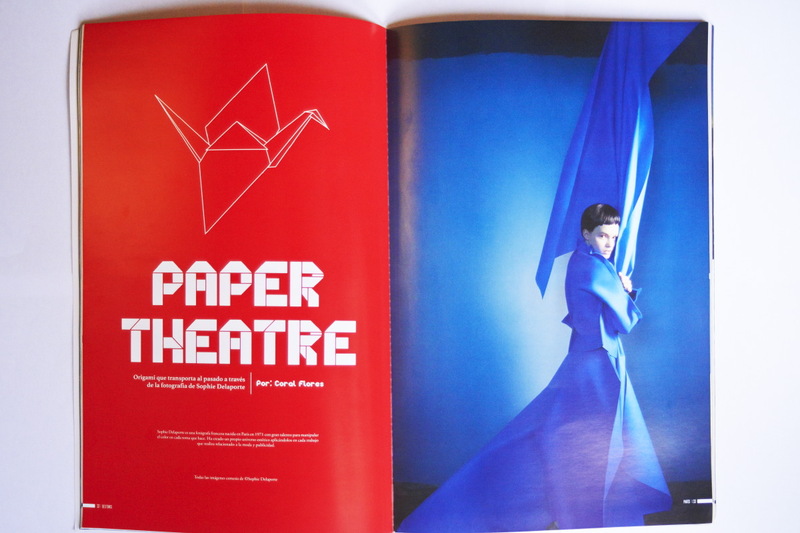 Magazine Fahrenheit (Mexico) publishes an article on Sophie Delaporte’ s work with photos from the series « Paper Theatre ». « My approach to photography has always been quite « plasticien ». 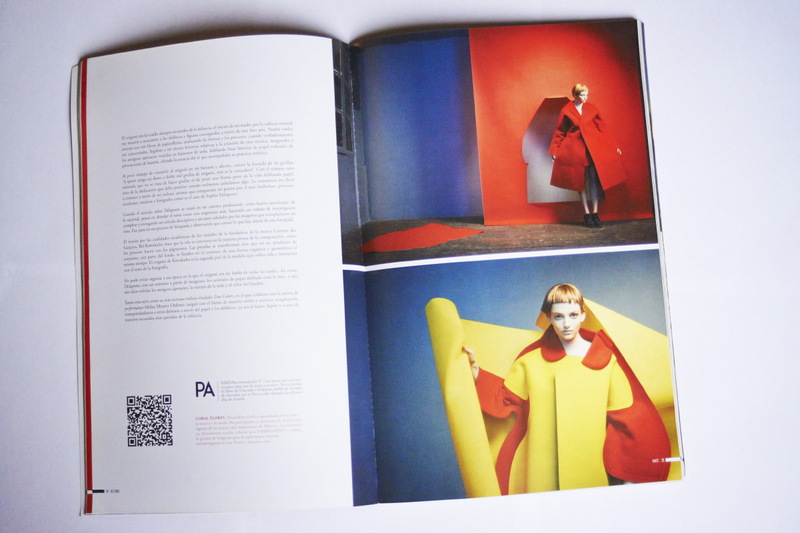 In this series, I was interested in the sculptural dimension of Rei Kawabuko’s dresses. I like to work on color as some classic painters may have done. using a piece of clothing as raw material. I don’t think about a piece of clothing as a consumer product (which is often the case in fashion photography). I prefer to think of it as a second skin, an image of one’s soul. The characters evolve on one set, just like in a small theatre. Like in all my work, what is real and what is pretense is not clearly defined ».